Flour can be used on a more recent grease spill to coagulate the mess for easier cleanup. Keep in mind that this trick only works on a spill that hasn’t had time to become sticky so you must act quickly. Baking soda has always had great cleaning qualities that is why many commercial companies use it as an addative for things like detergents or even toothpaste. You can use it to clean up tarnish on metals, stains from cups and countertops and also GREASE. Simply add three tablespoons of baking soda to about a cup of water and use that mixture with a sponge to scrub the grease away. Baking soda has alkaline properties which allow it to dissolve grease with ease. Depending on the nature and size of the greasy spot you can clean it up using just a bit of regular dish soap. Just rub some if it into the affected spot, this way of cleaning is useful with small spots on fabric and let it soak like that for about half an hour so the soap can work its magic. You don’t need a powerful degreaser for most spots. 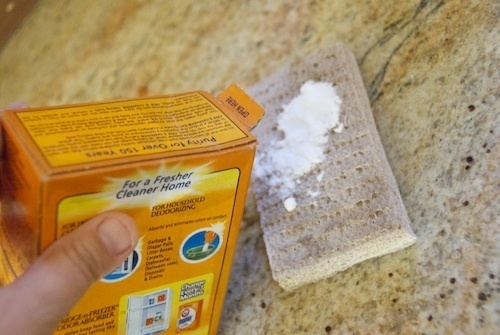 For situations like rugs, carpets and cushions that will either take too much hassle to wash or that simply shouldn’t be washed, you can use a mixture of 1:4 salt to rubbing alcohol. Rub that into the spot with enough force until it lifts it. 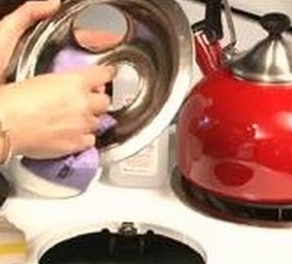 You can then vacuum the salt that remains after the alcohol evaporates and you can also use a damp cloth to wipe away any traces of the operation. This should be used for tough spots with lots of caked-on grease especially like the ones you’ll find on the stove or around the cooking area. Just spray vinegar on the spot and let it work for about five minutes, after which it will help soften up the spot. That won’t dissolve it completely as vinegar doesn’t have the same qualities alkali have so you’ll need to do more than that to clean it up. You can boil some vinegar in a pan to help it resist grease from sticking to it. Doing this once very few months will do the trick.